IDF manpower director Maj. Gen. Orna Barbibai hailed the impressive showing of immigrant volunteers; chided native Israelis. Even as senior defense officials lose sleep over the decline in per capita enlistment by native Israelis - except for elite and combat units where the national religious recruits are swelling the ranks - the IDF manpower division is reporting the opposite trend among new immigrants. Recently collated data for 2008 to 2010 demonstrates a drastic increase in the number of immigrant recruits who come to enlist in the army. In 2008 some 600 new immigrants joined the IDF, while in 2010 the number jumped to nearly 2,000 immigrants - an increase of several hundred percent. Maj. Gen. General Orna Barbibai, who runs the manpower division, told reporters most recruits are male with disproportionately high number volunteering for positions in the combat arms. The Ethiopian community is also highly motivated in the IDF, but is not made up of new immigrants who arrive in Israel to enlist and therefore not mentioned here. Barbibai attempted to summarize the various motivations for immigrant soldiers who enlist in the IDF. "Some come because their countries have experienced anti-Semitism," Barbibai said. "Some enlist because of Zionism and love to Israel, and some because of a difficult economic situation. There are even those who visited Israel with a program – like Birthright – and fell in love." "IDF soldiers also come from distant and exotic lands," she added. The recent data shows enlistment from soldiers hailing from Zimbabwe, Polynesia, Guatemala and even the Ivory Coast," she added. 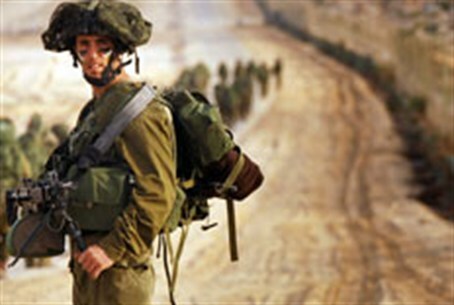 However, the army is still concerned about the draft dodging trend among certain groups of native Israelis. While such concerns are true of the Army in general, IDF combat arms continue to have more volunteers than available positions due to the high rate of volunteerism among Israel's national camp and Ethiopian community. "The numbers are disgraceful," Barbibai told the Foreign Affairs and Defense Committee last week. "A quarter of men and almost half of the women do not enlist." Barbibai told the committee she was "ashamed" religious women not enlisting was considered legitimate. A former religious girls high school principal called Arutz Sheva to respond to Barbibai. "That remark is disgraceful", the educator said, "The overwhelming majority of national religious girls volunteer for one to two years of hard work in National Service, doing crucial jobs in education, hospitals, welfare, working with youngsters at risk and the elderly. They don't have a uniform to show off with, but they are not evading anything. Quite the opposite. "They - and Israel's armed forces - have long respected the halakhic mores vis-a-vis religious women and the army, established by Israel's Chief Rabbinate and based on the Torah ruling that an unmarried female must not be placed in a position where she is subject to male authority, excepting respect for her father, of course. It is obvious that the army is just that kind of situation. "And there are other reasons that all well known national religious rabbis,who encourage young men to enlist, are against girls serving. Any army is a place where vulgar language, immodesty in barracks and lack of respectful behavior towrads women abound. That is not the atmosphere in which Jewish young women should be, the rabbis feel, and would be pleased if all girls, not just religious ones, were exempt and did National Service. "It is known that there are enough males to do the non-combat work most of the women soldiers do. In fact, in the case of evident danger of destruction, G-d forbid, halakhah posits women's participation in defense, even telling a bride to leave the chuppah for that purpose. That is not the case today and there are even those who feel that women in combat units are detrimental to the effectivity of the IDF. "Of course, there are religious girls who feel the drawing power of the IDF in which their brothers and friends serve, and ignore the rabbinic prohibition. Many do a great job, but the rabbis worry about all Jewish girls."